Christmas, 2006, comes at a markedly inauspicious time for celebrating the birth of the Prince of Peace. Our country has entered another year of a strange, shadowy global war, and, despite battlefield successes that portend ultimate victory, our nation's political leaders are still warring over war here at home: how best to wage it, and whether to treat it as a military conflict or as a courtroom battle. Also on the home front, we are warring over Christmas itself. Added to the common complaints of crass commercialism, the frenzied dashes through shopping malls, and the fast-clicking through e-commerce websites are sharp-edged debates this year over commercial establishments following government schools and public venues in banishing Christmas. This is stunning hypocrisy to say the least, with large-scale sellers coveting Christmas shoppers' business while simultaneously signaling their greater fealty toward the multicultural secularism of the liberal elite. Practical-minded shoppers tend to dismiss such foolishness, returning to their search for "the perfect gift," but has anyone ever purchased such a thing? We know perfection cannot exist in this world, as all the wars attest. Instead, gift-givers are seeking something that is well suited to the intended recipient; something that perhaps will even delight the receiver. Who can gainsay a giver's motives? 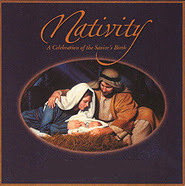 Undeniably, Nativity accounts treat giving as an important part of the Holy Birth. Historically, the actual year of Christ's birth is thought to be between 6 B.C. and 4 B.C., at the end of Herod's reign in Judea. The first mention of Christmas as a formal Nativity feast occurred much later in a Roman almanac dated A.D. 336. The Christmas star that guided the Wise Men to Bethlehem may have been any of a number of recorded astronomical events coinciding with the likeliest dates of that first Christmas. Halley's Comet appeared in 12 B.C., and ancient Chinese texts note "exploding" stars, or novas, observed in both 4 and 5 B.C. Exceptionally bright planetary conjunctions occurred in 2, 6, and 7 B.C. ; among these, a most promising candidate for the Holy Star was the triple conjunction of Mars, Jupiter, and Saturn in 6 B.C. The Wise Men are said to have followed the Holy Star to lay gifts, symbolic of His life, before the Baby Jesus: gold, because He was a king; frankincense, as he was a divine king; myrrh, to foreshadow that His suffering and death would be our preservation. The prophet Isaiah wrote of the coming Messiah, "The people who walked in darkness have seen a great light..." Well before the birth of Jesus, man longed for light in the days of greatest darkness. Early Christians selected December 25th for the Nativity feast to proclaim that Jesus Christ was the real Light of the World, the true "Son of Righteousness," the foretold Messiah. As Jesus later said, he had not come to destroy the law and the prophets, but to fulfill them, just as He fulfilled the deepest longings of human minds and hearts. The Christ Child was Himself referred to as a “Gift” given by Our Heavenly Father to redeem sinful humans. The Holy Birth involved the Incarnation first; the spiritual wrapped in material form: holy, eternal God, enshrined in perishable human flesh. Such was our Perfect Gift, for restoration of full fellowship between God and man. God, in His mercy, has bestowed many other gifts on this blessed land. Consider the many Decembers, reasserting hope during dark days as heavenly gifts to America, coming at critical junctures in our nation's Founding. On December 11, 1620, prior to disembarking at Plymouth Rock, the voyagers signed the "Mayflower Compact," often cited as America's original document of civil government and the first to introduce self-government. On December 16, 1773, the "Sons of Liberty" tossed chests of tea from British ships into Boston harbor in protest of Britain's unjust taxes. This, of course, was the Boston Tea Party. Our American Christmas heritage as celebrated during early colonial days (continuing today) derives, like so much else here, from the mingled Christmas traditions of immigrants from many lands, with differing religious beliefs and customs of worship and celebration. Our name for this Holy Day arises from the old English Cristes Maesse, or Christ's Mass. As the name suggests, the holiday was first observed in Early America among the Anglicans, Roman Catholics, Lutherans and Moravians who settled predominantly in the Middle Atlantic colonies and the South. Influenced by Puritanism and Calvinism, the New England Congregationalists, Presbyterians, Baptists and Methodists treated the new celebration with greater circumspection. In fact, some New England colonial authorities outlawed Christmas from 1649 until 1658 and the General Court of Massachusetts set a fine in 1659 of five shillings per offense, punishing the observance "of any such day as Christmas or the like, either by forbearing of labour, feasting, or any such way." About the same time, the Assembly of Connecticut forbade the reading of the Book of Common Prayer, the keeping of Christmas and saints days, the making of mince pies, the playing of cards, or performing on any musical instruments. National acknowledgement of Christmas returned during the Revolutionary War, and mirrored its ebb and flow. The so-called Christmas Campaign victories of General George Washington in 1776 at Trenton and Princeton were followed a year later by the Revolutionary Army's retreat to Valley Forge, the trail marked by bloody footprints in the snow. Washington wrote in discouragement of "A character to lose, an estate to forfeit, the inestimable blessing of liberty at stake, and a life devoted, must be my excuse," and about how "it was much easier to draw up remonstrances in a comfortable room by a good fire-side, than to occupy a cold bleak hill, and sleep under frost and snow, without clothes or blankets." Massachusetts was the first state to make Christmas a legal holiday, in 1856. By that time, most of our shared Christmas traditions were set, and Harper's Weekly, on January 3, 1863, featured a drawing of encamped soldiers receiving Christmas gifts from home. Christmas become a federal holiday under President Ulysses S. Grant's 1870 declaration. Nearly all Americans celebrate Christmas today in some way, a uniformity that belies the variance with which, as in colonial days, Americans approach this holiday. The Babe of Bethlehem's birth was announced by angels saying, "Do not be afraid, for behold, I bring you good tidings of great joy which will be to all people. For there is born to you this day in the city of David a Savior, who is Christ the Lord...Glory to God in the highest, and on earth peace, good will toward men!" Is the Christ Child's American birthday still that universal? We uniformly believe it is! His earthly arrival brings true delight to believers but perfection for doubters and deniers too. "O come let us adore him" is neither threat nor coercion, but instead a personal invitation. It is in the nature of a gift to be freely given, and freely received, for true gifts are not forced in either way. As George Washington acknowledged, in his despair in 1777, another gift God has bestowed upon Americans is "the inestimable blessing of liberty." The first freedom enshrined in our U.S. Constitution's Bill of Rights is religious liberty which includes the liberty to honor Christmas freely and publicly. Our troops in harm's way, surely, are fighting for Christmas in that very sense so that we all may freely proffer adoration for that miraculous and perfect Gift of the first Christmas. A very Merry Christmas from us to all of you.